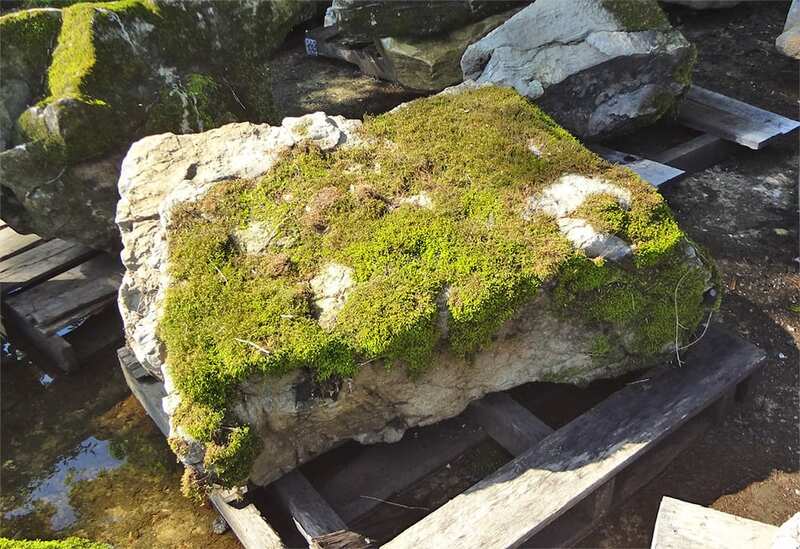 Moss Rock is a popular Landscape Stone that combines the beauty of stone with the beauty of plants. Of all the stone we sell at Wicki Stone, this stone seems to stand out in people's minds. The stone is often deeply textured with lots of nooks and crannies. The color is a light to silver gray. Add in the variety of Moss that can grow on stone and each piece is truly one of a kind. Wicki Stone sells this stone in various sizes including modest size pieces on pallets and huge pieces that require heavy machinery to lift. Moss tends to grow best in shaded locations, early morning sun is ideal, and moss prefers to say moist and never fully dry out for long periods. This is one reason that this stone is so at home in water gardens and ponds, especially shaded ones. 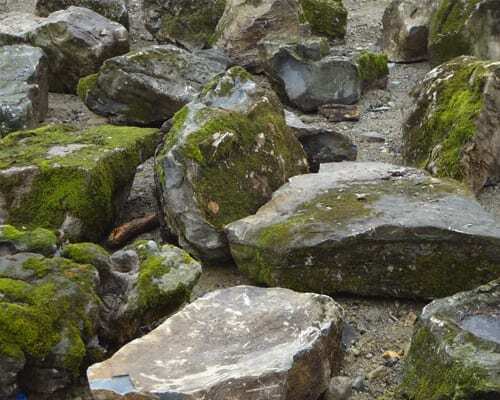 If you are looking for Moss Rock - Wicki Stone is an excellent source. 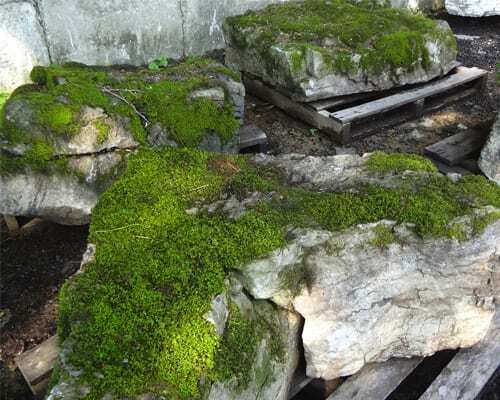 We carry a wide selection of Moss Rock at Wicki Stone. We have large, medium and small sizes. We have rock with Moss and without Moss (surprisingly beautiful). We also carry smaller pieces in pallets that are ideal for water garden construction. This picture shows two things. 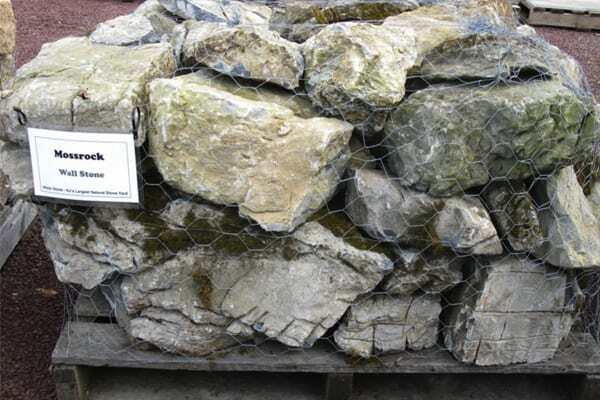 First is that we sell Moss Rock in smaller pieces and they are palleted. Second is this is what this stone can look like without Moss. It is exceptionally beautiful stone even without Moss. 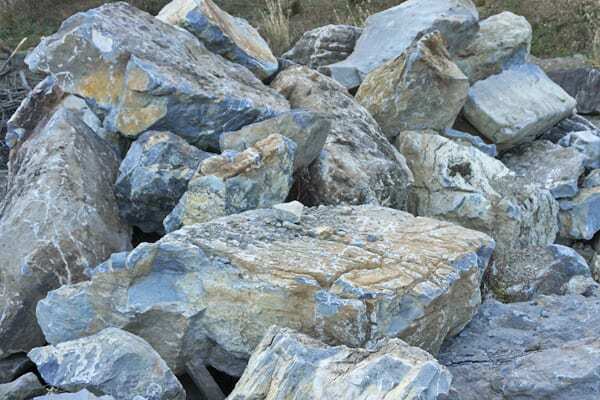 It makes great water garden or rock garden stone. These are Moss Rock boulders without moss. This tends to happen when the stone is in full sun in hot, dry locations. Even without moss this is uniquely beautiful stone. It is deeply textured with nooks, crannies, shelves, ledges and more.